WSU students protest for climate change. The Board of Directors of the UMass Foundation voted unanimously last week to divest all direct holdings in fossil fuel companies in response to pressure from the UMass Fossil Fuel Divestment Campaign, making UMass one of the first public colleges to do so. “This [divestment] is consistent with the principles that have guided our university since its Land Grant inception and reflects our commitment to take on the environmental challenges that confront us all,” said UMass President Marty Meehan in a statement released by the University. 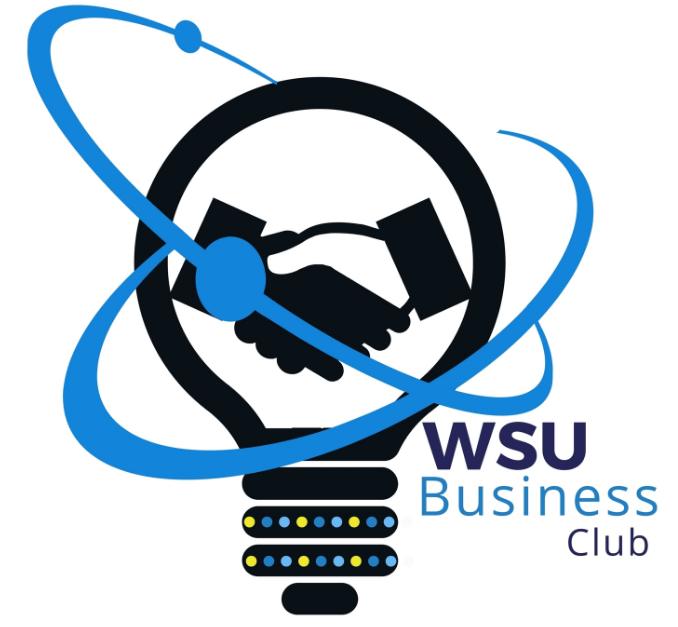 Meehan’s announcement comes only weeks after WSU President Barry Maloney penned an open letter in response to the WSU campaign reaffirming its administration’s decision not to divest its financial holdings in the fossil fuel industry. 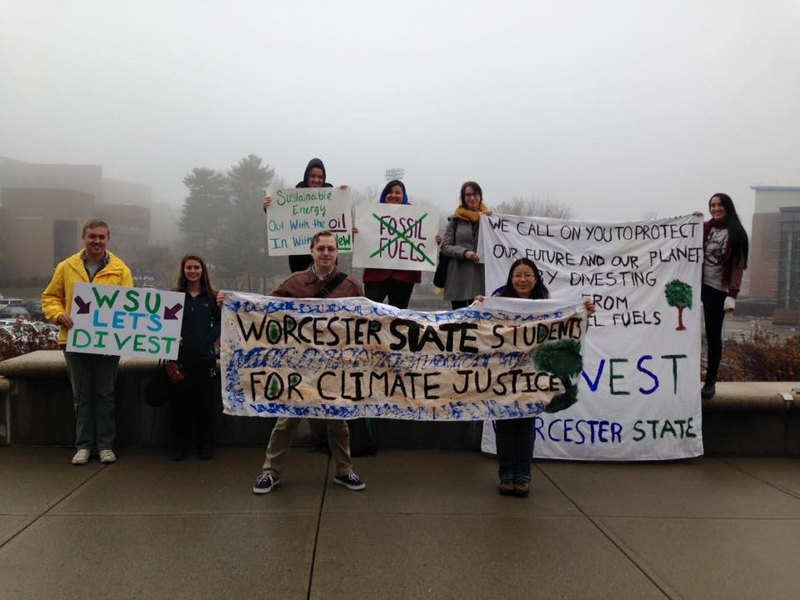 But WSUDivest, a joint effort by students and faculty at Worcester State University, think the benefits of divestment far outweigh any potential negatives. Allison Dunn, a WSU professor that teaches about climate change and is involved in the WSUDivest campaign, speculates that UMass’ announcement might make WSU reconsider. The Office of the President at WSU had no new comment on the matter, deferring to previous statements that argue divesting could be seen as a political action which might endanger the non-profit status of the Worcester State Foundation, the endowment that handles the University’s investments. Ashley Seymour campaigning in the Sullivan building. Publicly, WSU isn’t shy about its commitment to environmentally-friendly policies and construction. In fact, WSU was recognized as a Most Environmentally Responsible College by the Princeton Review in 2010, 2011, 2014, and 2015. 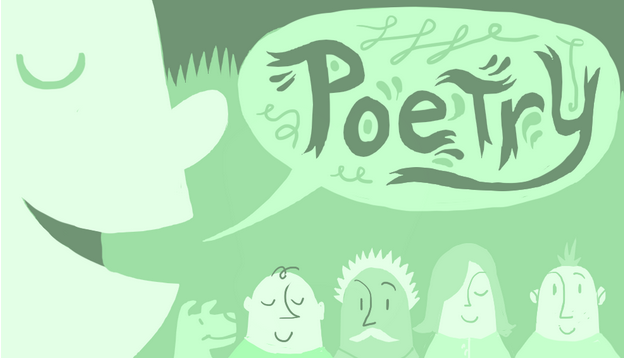 Despite this recognition and the existence of a Sustainability Office on campus, Ashley Seymour, student head of the divestment campaign at WSU, believes the University’s commitment to environmental causes is superficial at best. 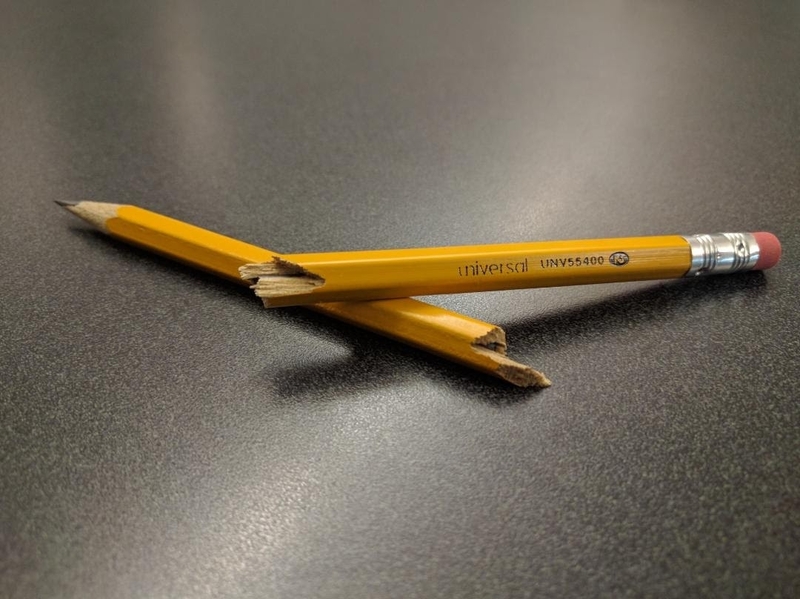 WSU’s Sustainability Officer, Steven Bandarra, also declined to comment on the issue. 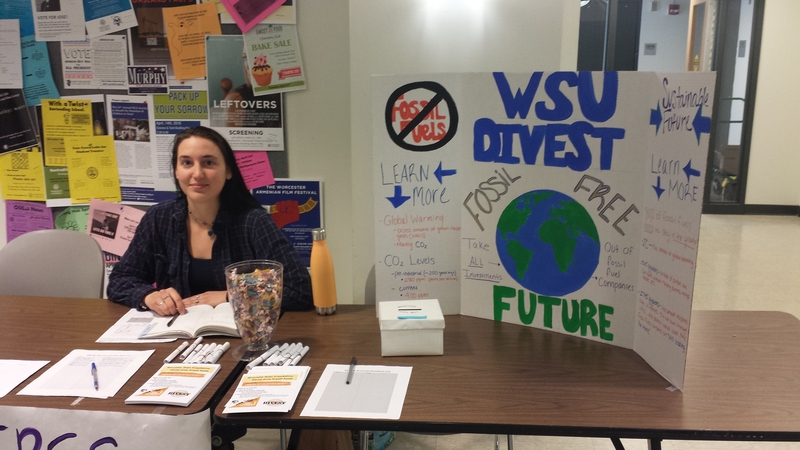 WSUDivest has employed several strategies to raise awareness of the threats posed by fossil fuel consumption, including petition, sit-ins outside Board of Trustees meetings and in-class presentations.